Usually portrait sessions take between one and two hours and you then choose your favourite photos from around 45-50 carefully edited images. But a few times a year I run mini sessions which are exactly what they sound like – shorter versions of a full length shoot. Because they are shorter than a normal portrait session, I take fewer photos so usually you’ll have around 15-20 photos from which to choose your favourites. In order to get as much variety in your shoot as possible, mini sessions are far more structured than bespoke shoots because we have less time. However, clients are often spoilt for choice and end up buying all 15-20 images after their shoot! Please email or call me to let me know your time of choice. I will then send you an invoice for £50 to reserve your slot (deductable from your session cost) and send over your What to Expect guide. Before the session we will have a chat about who will be coming on the shoot and how you’d like to display your photos and I’ll confirm location. What if it’s raining/snowing/hailing on the day? As long as it’s not raining, hailing or snowing heavily, we will be able to go ahead with the shoot. Even if it’s cloudy we can get some lovely photos. And because they’re mini shoots, even if it’s cold you can pop into a nearby cafe to warm up (I have carefully chosen both locations to ensure that there is a cafe and a loo close by). What happens if one of us is ill on the day? The last thing I want is for you to look back on your shoot and remember how ill you felt or how stressful it was because your little one was off colour. If you’re ill please let me know asap and we can reschedule your session. 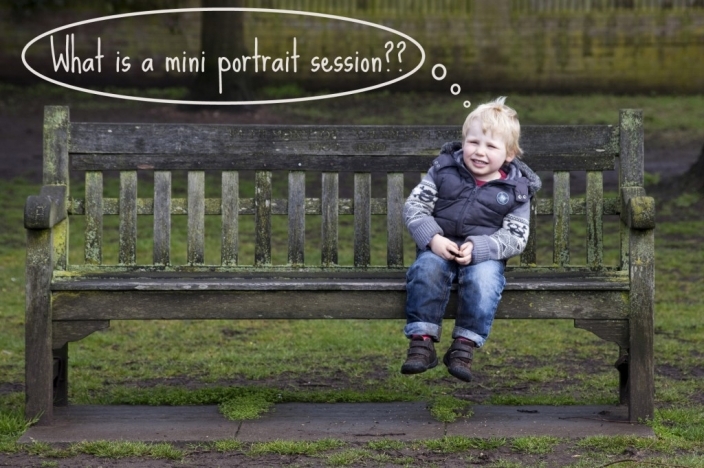 What if I want to buy a mini session as a gift? A voucher for a mini session would make a lovely gift. I offer beautifully designed, personalised vouchers which are presented in a gift box. Please get in touch if you would like to buy a voucher for a mini session as a Christmas gift. I usually run them in the spring in a local park and summer in the lavender fields in Surrey. If you prefer, you can click here to go straight through to the gift voucher ordering page. I’d prefer an indoor session. Are you running any studio sessions?